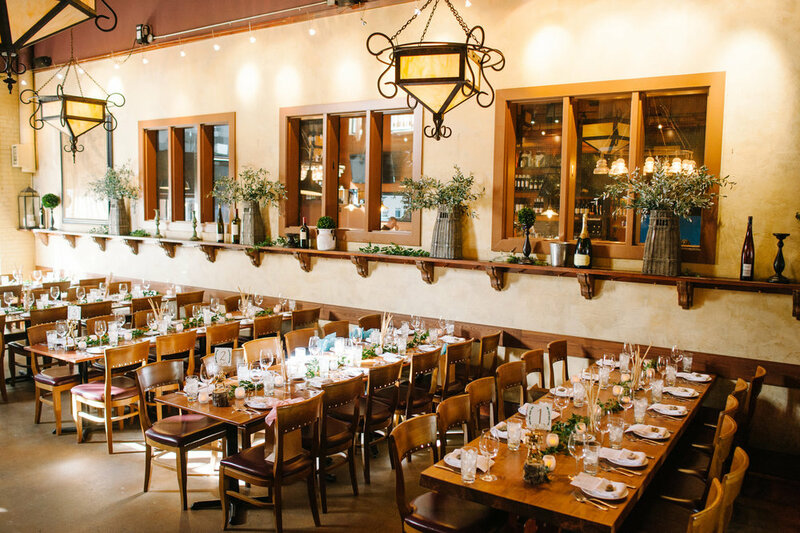 This month we’re shining our vendor spotlight on Bonterra Trattoria, a spirited restaurant and wedding venue located in downtown Calgary’s Design District. Marketing Manager, Megan Sereda and Events Coordinator, Carly Thompson filled us in on what makes this venue so vibrant and sought after. BT: Inspired by the passions, style and gusto that mark the traditional Italian way of life, Bonterra has become a destination for Italian cuisine. Well-known for serving incredible food, the restaurant is also loved for its lively trattoria atmosphere – where life is celebrated with food, wine and spirits. 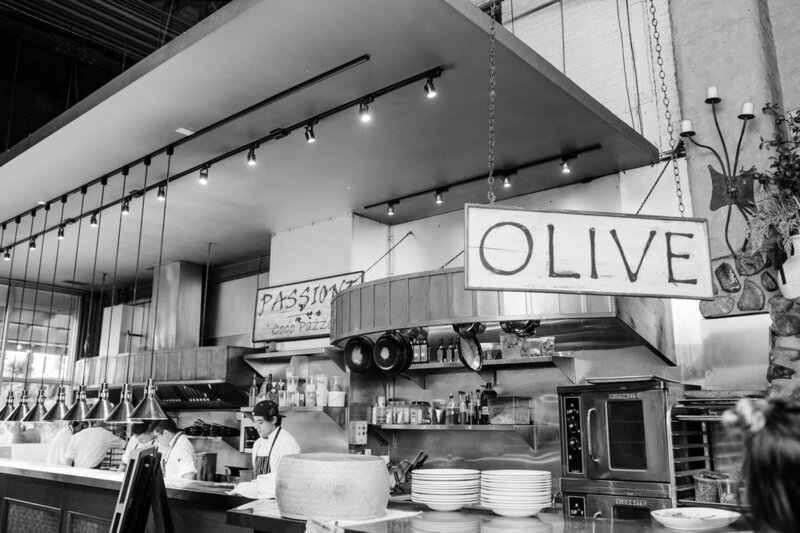 Our menu is both classic and contemporary as it pays homage to Italian roots with traditional dishes influenced by local Canadian ingredients. JR: What makes Bonterra such a lovely place to tie the knot? BT: With an established history of hosting amazing events, Bonterra offers a beautiful backdrop for both intimate and large-scale gatherings. For seated events the restaurant features a main dining area, able to seat 80 guests and a wine room, able to host 30 guests. For standing, cocktail-style events, we can host up to 160 guests between both areas. 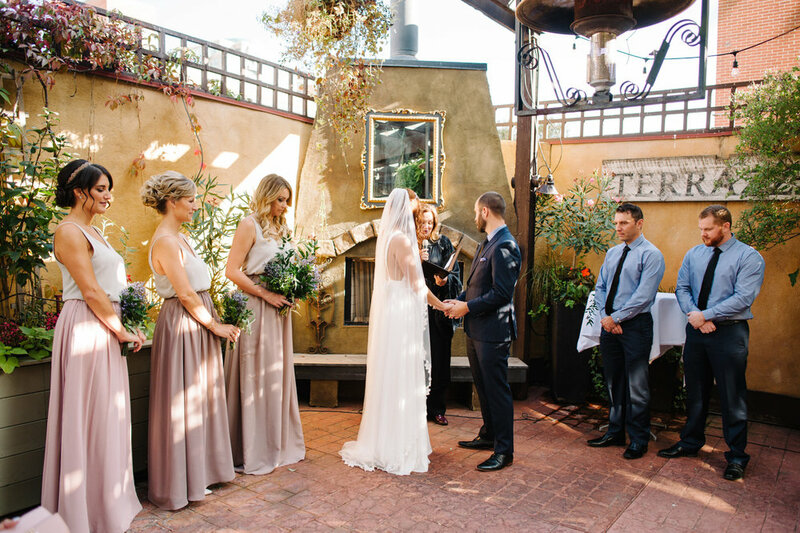 Weather permitting, an outdoor Tuscan terrance is the perfect place to host your wedding ceremony with an abundance of flowers and plants to create a beautiful backdrop. 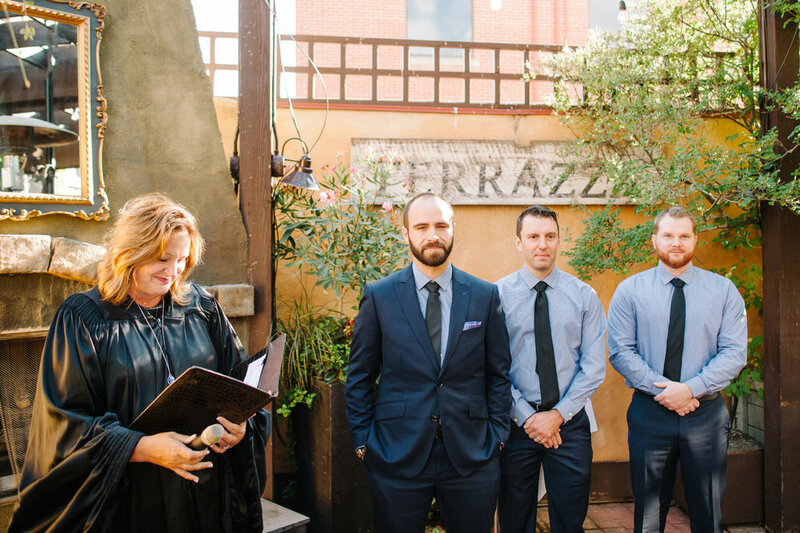 Our team truly takes care of everything and makes hosting a wedding here easy, especially for a couple that appreciates great Italian fare. JR: What do you love most about helping plan/execute weddings? 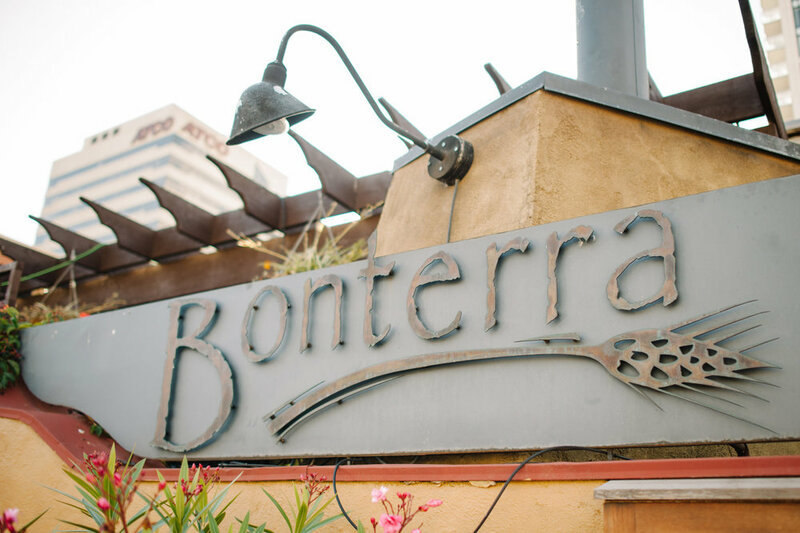 BT: We love providing our guests with the true Bonterra experience – great food and great wine. While we are flexible with guest requests, we pride ourselves on the creation of a customized food and wine menu for an exceptional wedding experience. We work with our brides and grooms, offering suggestions to help meet and exceed their expectations. Each Bonterra wedding is unique in its own way, just like the couples that choose us for their special day. JR: Tell us about the most extravagant wedding that took place at Bonterra? BT: About two years ago, one of our beloved regular customers was married here. The couple arrived in “His and Her” wagons containing a generous load of magnum (5 litre) Moet champagne. Toasting their guests, the newlyweds sabred them on the patio together! It was fantastic to celebrate with a customer we’ve come to know so well and witnessing their nuptials was a treat for all our staff. Our guests seem to really appreciate the food, service and rustic charm of our space. Because of this, couples tend to make minimal changes, adding just small personal touches to our décor. For those who haven’t seen the space in person, Bonterra is a lovely and intimate choice for a wedding venue. JR: Do you have any funny / interesting stories about a past wedding or event? BT: Lately we’ve had many “surprise” weddings, where the guests are oblivious to the fact that an actual wedding ceremony will be taking place! Those events add fun and excitement to the day for everyone, including our staff. Each wedding we book brings a host of unique people with interesting backgrounds and stories. The couples we enjoy most are those who share their day with us, trusting us to handle the details while they relax and enjoy the occasion. 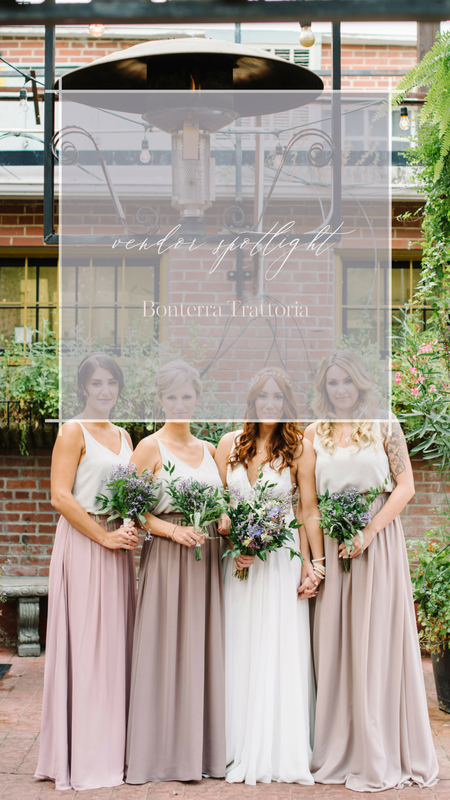 Considering Bonterra Trattoria as an option for your upcoming wedding? Don’t hesitate to contact info@jacquelinerae.ca for the scoop on this unforgettable venue.